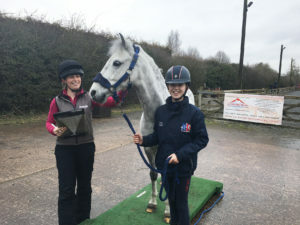 Dengie caught up with Olivia Langley as she finished her lesson with Dan Sheriff for an update on their progress. Claire Akers commented on the difference since first weighing and condition scoring Albert back in October. Next for Olivia and Albert is British Dressage Youth Northern Camp at Sheepgate and then looking forward to our first Premier League of the season at Keysoe. 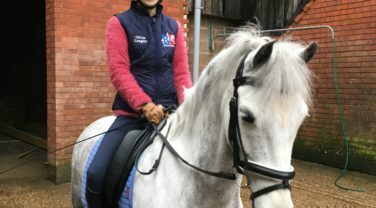 The British Dressage Pony Prime and Progress Training Sessions at Olney Equestrian Centre took place on a chilly and damp weekend prior to Christmas.